I was finishing off a domain migration this week and was changing the clients over to McAfee. 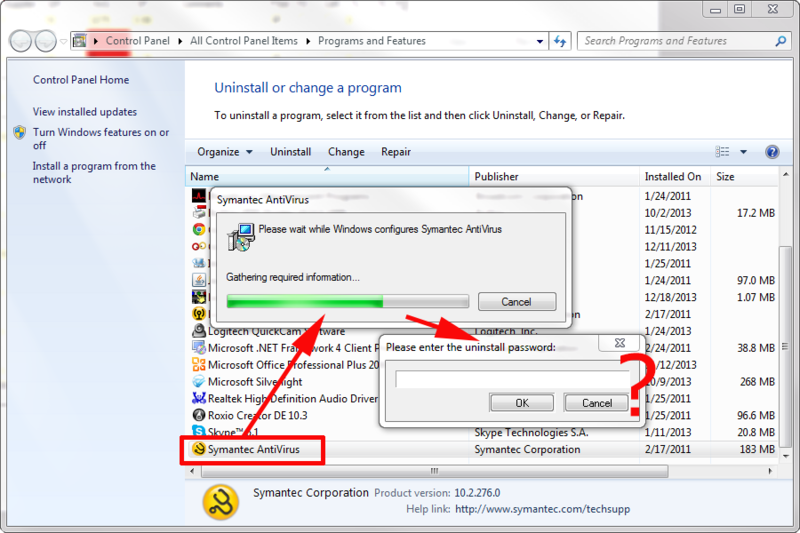 On one machine I found it had Symantec AntiVirus. When I tried to remove it, it asked for a password. One of the other machines had Symantec Endpoint Protection installed and this did the same. 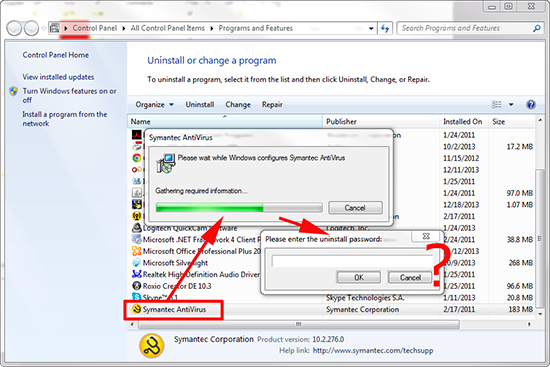 As expected, no one knew what this password was, and the default password ‘symantec’ didn’t work. The same fix worked for both of them, and its painfully easy. While still being asked for the password, do the following. 1. Launch Task Manager, (Press Ctrl+Alt+Delete, Or right click the taskbar, or simply run Taskmgr.exe). 2. 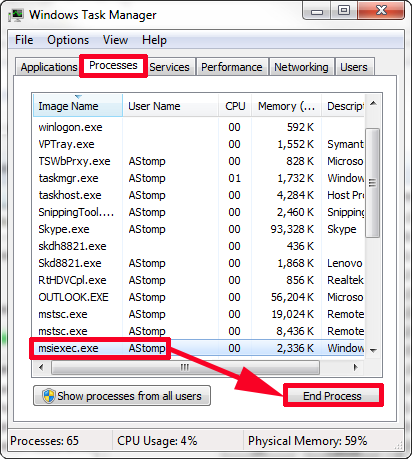 Select the processes tab, Locate the MSIEXEC.EXE service. Note: There may be more than one, if so select the one that running under the user account that you a logged on as DO NOT select it is it is running under the SYSTEM account. End the process. 3. Now the password request box will have disappeared, and the uninstall process will complete on its own.